If you search for a creative and driven person who is not afraid to get in or to work hard, you will probably find my profile interesting. 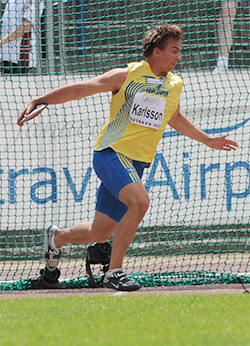 I am competing at elite level as a discus thrower, but it is more to it. 4-years of full-time studying led to a diploma which proves my Degree of Master of Science in Business and Economics. I was born and raised in a small town named Strömsund which belongs to the county of Jämtland in Sweden. Right now I am 24-years old and live in Umeå. With this home page I want to broaden your view of me and to present myself in a different and creative way, which reflects me as a person. Right now I am searching for new challenges, especially in the field of marketing. During a 4-year period I studied the program of Master of Science in Business and Economics at Umeå University. The education that I chose is unique since it is an education focused on managing activities that include any kind of service orientation. Why was this important for me? In the surrounding world I saw a growing service sector with increasing demand for service development, even in manufacturing companies. It started to become more and more important to include add-on services and therefore an education with a service perspective was the right choice for me. This service focus enhanced my knowledge in e.g. service characteristics, service systems, customer service & satisfaction, service encounters and customer relationship management. Throughout my education I had a particular area that interested me most. Marketing. For me there was something special about it, perhaps due to my background in web development and sponsorship agreements. How should one communicate companies’ core values in the right manner? Due to my marketing interest I chose to immerse myself in marketing at Advanced Level. Especially during the last year I gained special knowledge in consumer behaviour, strategy perspectives, consumer & market analysis and marketing plan planning, processes & development. Mostly due to advanced courses, but also through practical connection with companies and organisations. For example, our marketing team developed an award winning marketing plan for a service organization. I also involved myself in a marketing organization who is responsible for the Swedish national championships in athletics 2014. 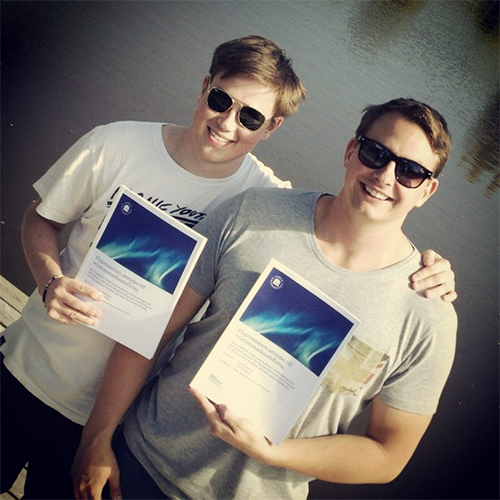 In order to wrap up the education, Anton and me wrote our degree project combining service management and marketing. Our topic reflected flight travellers’ attitude towards relationship marketing (in Swedish though). Together with experienced CEO’s and company leaders in the Umeå region I will be responsible for all marketing and sales activities regarding the upcoming Swedish NC in athletics. My major responsibility is to find and sign contracts with sponsors and partners. With the mentorship and discussion with experienced leaders I got insights into practical implementations of marketing. I just started with sponsor and partner prospecting and will fill in which results and experience I achieve after hand. I have created and developed web solutions for several companies and organizations on freelance. My knowledge regarding HTML/CSS has increased constantly and I am used to work with Dreamweaver and Photoshop. These projects have been side projects during my studies and elite career. I have developed an ability to understand and produce based on customer preferences and take sensible initiatives, which I think is the main contribution to having satisfied customers. To some of these abovementioned projects I have developed social media strategies and suggestions on how to administrate them. I have accomplished to increase companies visibility and make their marketing efforts more effective. I also learned how to handle Facebook Ads effectively, create custom tabs and determine what kind of content is most effective in social media. During my studies I was the manager of a project which had the goal to develop a new website for HHUS (Business school student association) in Umeå. The project also included education in CMS-tools to different administrators. During the process I gained a lot of experience from CMS (Control Management System) and learned how to coordinate a project. Results was an appreciated website from the organization and from visitors. From 2005 on I have been a leader at several training camps. A great challenge to instruct and coordinate 20-30 youths and still keep them motivated for a long time. My greatest benefit from this is a practical understanding of group dynamics. Our group received an award for presenting the best marketing plan in competition with other students at Umeå University. The marketing plan was developed for a service company in their start-up phase. We had regular meetings with the senior management where we asked questions and presented ideas, shortly a requirement analysis. Together with a situation analysis and our marketing knowledge we developed an award winning marketing plan that was really appreciated. I gained experience in planning, processing and developing a marketing plan but also knowledge in real life analysis of a business and its needs. 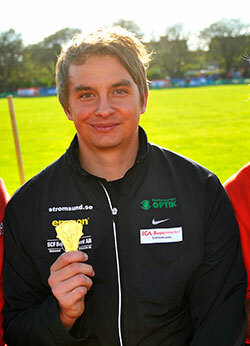 My athletics career started in 2003 when I tried out some events during half-time in a soccer game. From that moment on I was stuck. After all, it turned out to be a very good idea. I see it as the best decision of my life (hitherto). At 15-years of age I moved 300km away from home to start athletics high school and the natural science program in Umeå. After 4-years of hard training and intensive studying I still felt hungry for new challenges. So I applied for the business programme at Umeå University and was still determined to combine full time studies and training at 15-20 hours each week. And I managed! With excellent results in both studies and track. I believe that the biggest success contributors are my intrinsic drive, goal determination, dedication and ambitiousness. My ability to combine two careers was noticed by Eurosport who made a coverage of me and Umeå as a sports city (Video clip to the right, at 2:00 I appear). To summarize I would like to say that athletics has given me so many great memories and the chance to travel around the world, meet new friends, international experience, develop language skills and personal growth. Main merits: World Junior Championships, European Junior Championships, Gymnasium World Championship, Nordic championships, 6 times Swedish Junior Champion. Due to my performance on field I had the opportunity to seal some sponsor agreements. In the list below you can see some of them. "Johnny has been an exemplary ambassador and representative when it comes to the development of Great Earth brand. He has always spoken well about our company and our products, been active in social media and represented Great Earth in various customer events, fairs and competitions. Johnny is an initiative and creative individual and his extroverted manner makes him easy to cooperate with. We give him the very best recommendations!" 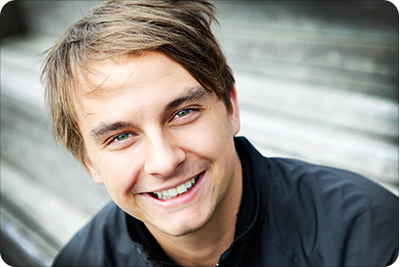 "I had the honor to work with Johnny for a few months during my time as an IT manager within the student association at Umeå School of Business & Economics. Johnny has a strong drive and a strong will to achieve results. didn't just prove that by giving me as a sponsor great support in the role as leader for a project where we created a new website for the association, he also proves this in sports. He has a big focus on the details as well as the whole which has always made him perform outstanding results during the time we worked together. I strongly recommend Johnny for future positions and assignments." "I came in contact with Johnny by chance during the spring of 2008 in connection with my preparation for a trip to the Beijing Olympics. He was commissioned to create a website for my travel stories and then we have continued to keep in touch. When I in 2013 planned to do a round the world-trip Johnny was the obvious choice as a partner for new web development. Johnny is easy to deal with and, in addition to relevant programming and design skills, have an ability to quickly understand and deliver based on a specification, take sensible initiative and suggest improvements." "Johnny gives us ideas and presents creative suggestions that benefits us as a company, which we are very grateful for. We really appreciate Johnny's go-ahead spirit and commitments which he always fulfil. We have a great confidence for him and will continue to use his competences in marketing to increase our visibility."